Katie grew up on all things Disney. When she met her future husband she knew that converting him into a disney fan was a must! After a few WDW vacations, Disney history lessons, and lots of Disney peer pressure, she finally had her prince charming loving all things Disney as well. After getting engaged in 2008 on a carriage ride through Fort Wilderness, Katie threw out the idea of getting married in the place where they shared their happiest memories. Two years of planning, and a whole bunch of Disney magic later, they had the most amazing Disney wedding on October 2nd, 2010. Now living at home in New England, Katie keeps the Disney romance alive in her home and is constantly planning romantic vacations to the world. She has her own personal blog www.makingmyfairytale.blogspot.com and is thoroughly excited to start writing for the Disney Driven Life. Some engaged couples have a taste for the exotic. 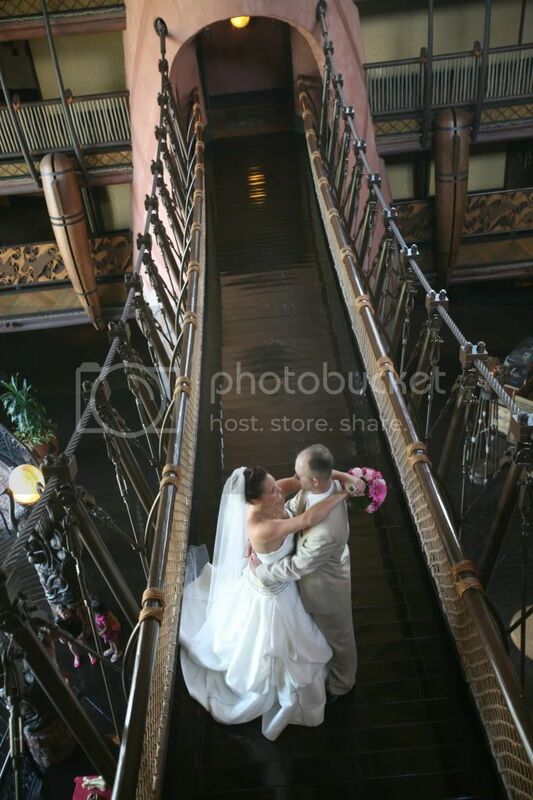 Luckily, Disney has more exotic locations for weddings than you think! How about a ceremony in Morocco, with this amazing backdrop for your wedding? I have seen wedding ceremonies set up right in front of the arch way. I’ve seen it both heavily decorated and simply decorated, but either way, this location can not be beat. The architecture and the colors make it not only one of my favorite pavilions, but also one of my favorite Disney wedding locations. Continuing with the exotic theme, we bring the party to Tamu Tamu in Disney’s Animal Kingdom Park. 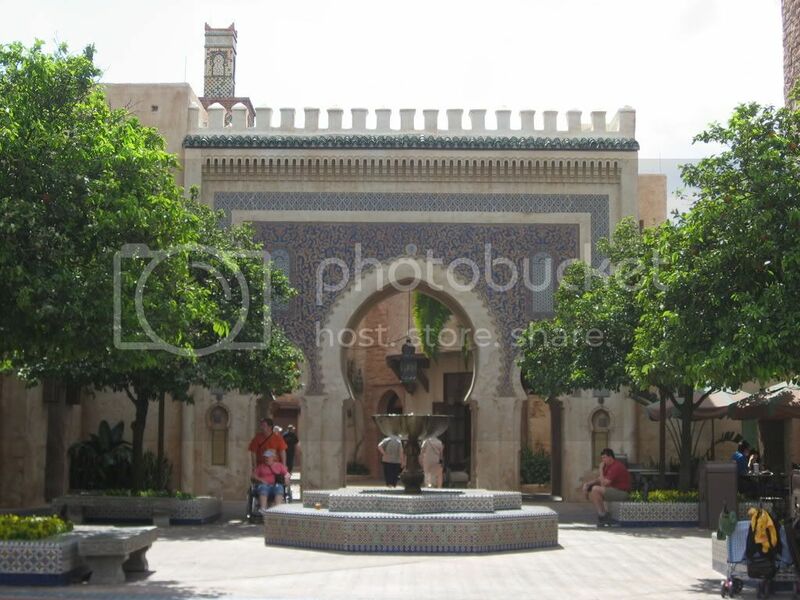 During normal park hours, this location, situated between Asia and Africa, is used as an eating area. There are tables and chairs where you can go sit down to have a snack or just take a break from the crowds and Animal Kingdom heat. It’s almost hidden and very private. On our last trip I had to go check it out. It was lovely. Its not hard to imagine how it would look all set up for a wedding reception. To tie into the Moroccan ceremony location, the tables could have Moroccan lanterns on them, surrounded by candles. Oh, how pretty and different from the usual floral centerpieces would that be! 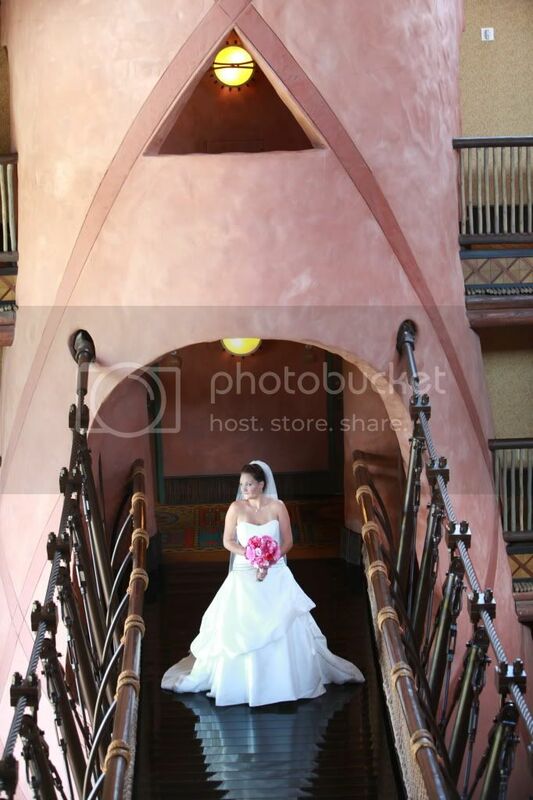 If you remember, a couple weeks ago we interviewed Disney Bride Mandy. She was supposed to have her reception in this location until inclement weather forced them inside. Her wedding cake was made to fit the animal kingdom theme and was zebra print! So fun! And how about some pictures at Disney’s Animal Kingdom Lodge? The bridal party wearing bold bright colors would add to the bold feel of the locations. The bride would look simply stunning in her white dress against the colors and the sights of these extraordinary venues. The whole experience would make for an unforgettable event for both the guests and the wedding party. And that’s not to mention the phenomenal pictures a photographer could take! These locations are by far some of my favorites, as you can see. Contributed by: Katie Zwicker (NDW#70) Katie is the DDL Weddings and Honeymoon Blogger. She is also the creator of http://makingmyfairytale.blogspot.com/. Animal Kingdom would truly be an amazing settings for a wedding.